they have a fabulous selection of the highest quality. Choosing a crystal for yourself whether it is the first, second, third or hundredth time is a wonderful and life changing experience. I have had the pleasure to read many wonderful books by various authors on the subject of how to choose healing crystals for yourself. I thank all these wonderful authors for their books and for sharing their knowledge. From my own experience over the years, it is my belief that your intuition plays the biggest role, it is your greatest gift, it is the tool that will guide you to make the right choice no matter which method you follow. Exquisite Crystals have a fabulous selection of the highest quality crystals to choose from. Selecting and choosing a crystal is very personal and making a choice as to which one you want and for what use you will put it to should be yours alone, obviously that excludes gifts and who says no to one of those! There are a lot of possible ways you can go about to choose a crystal for yourself, remember there is no right or wrong way, there simply are no specific rules to follow. You might think that intuition is a magical phenomenon - but you are naturally provided with intuition, an instinctive knowledge, hunch or impression that is uniquely yours formed from your energetic experiences and knowledge. Have you ever had a feeling that guided you to act a certain way without fully understanding why or suddenly understood something without proof or evidence why? That is your intuition my friend, it is real, all you have to do is practice to listen. Take time to listen to inner self, your intuition. Never discount what you feel or hear when choosing a crystal. Be clear in yourself, be open to receiving the message that the crystal you are looking at or for is giving you. When your energy field is clear and open, you are in a position to "feel" the crystal and form that unique bond that will allow the crystal to come to you and work with you to enhance your healing and abilities. Every crystal in my collection and I have a personal bond! I have always allowed my intuition to guide me as I have made my crystal choices but at the same time I am blessed to have studied the stones and I have the ability to add that knowledge to my choice. I would probably go through some of the above questions when making my own crystal choices, you should do the same. This however only works when you can see and touch a range of crystals, one stone will catch your eye, and continue to draw your attention. This is likely to be a crystal that will be beneficial to you, learn to trust your intuition. Heat emanating from the crystal. An overwhelming sensation of love. The crystal apparently ‘jumping out' at you and falling at your feet. A sudden rush of excitement. The knowledge you just have to do it! It just puts a smile on your face! A pendulum is usually an accurate, easy way to get answers from your sub-conscious mind, it is easy to use and takes very little time. When you use this method for choosing a crystal, be clear in the question you ask. I find asking a simple yes or no question works best. Receiving a crystal as a gift is a precious experience, and you will find that as you start to use crystals more that the crystal you receive may just be the one you need at that given moment. Crystal have an uncanny way to seek us out when we need them, they will find find you even through being gifted to you! Should you however find that the crystal you have received does not resonate with you at that time, place it somewhere safe, the right time for you and your crystal gift to work together will arrive. Choosing a Crystal from a Website. There are so many people selling crystals on the internet today. It is important that you purchase from someone trustworthy, who will guarantee the quality of their crystals. The best way to choose any crystal from a website would be to be clear in yourself what you want or need the crystal for. Ask yourself what you want or need from a crystal right now? Ask yourself if there is a specific color that either draws or repels you? Ask yourself which crystal you need and listen to what pops into your mind? Look at pictures of crystals and see which ones please you? You can now do a little homework and look up which crystals are best suited for what you need them for, the healing properties of the color or crystals you chose in the above questions. Some background knowledge about the crystals you are interested in purchasing is always a good idea when you cannot use your physical senses, however use and trust your intuition as it works across time, space and distance all the time. Your intuition is your own personal radar and will not fail you. Be still... and listen! 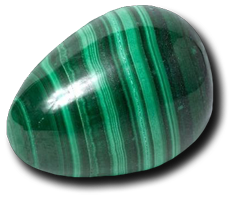 Exquisite Crystals have one of the largest inventories of and offers the highest quality and most reasonably priced crystals and minerals on the web. 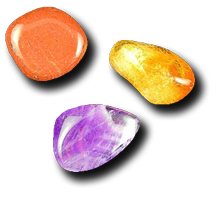 All their crystals are hand chosen based on a combination of factors including the aesthetics and the crystal's energy.